ON SALE ITEMS ( MEGDAS ) ::: Furniture for the Home, Office, Home Office, and More at Pure Design Online! InStyle magazine says MyPetLamp-Dachshund is a suggested holiday buy. They were a Wondertime Editor's Pick as well. House and Garden likes them too, as does Babble! 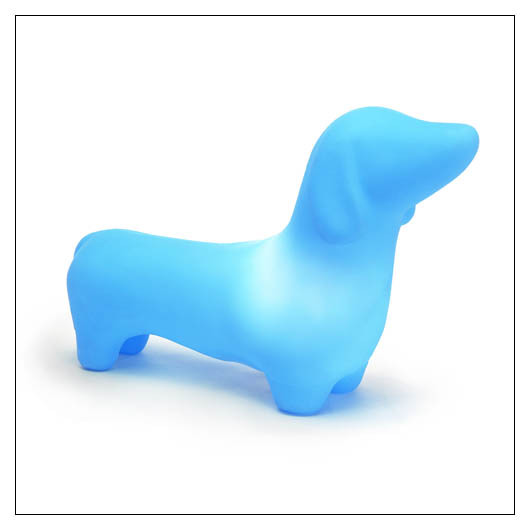 The playful MyPetLamp-Dachshund from Offi is made of non-toxic, odorless plastic with a low voltage (12v) replaceable bulb that bathes a room in soft light. Available in six colors: Soft White, Mellow Yellow, Sky Blue, Sunset Orange, Hot Pink and Misty Green.